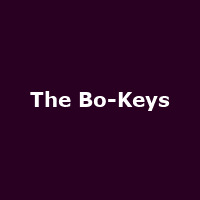 The Bo-Keys are a soul jazz band from Memphis, formed in 1998. They released their debut album, "The Royal Sessions" in 2004, followed by: "Work That Skirt EP" (2009), "Got to Get Back!" (2011), "Writing On the Wall EP" (2012), "I Need More Than One Lifetime EP" (2013), "The Dark End of The Street EP" (2013), "The Electraphonic Singles Vol. 1" (2014), plus 2016's: "Heartaches By The Number".